Freedom Labradoodle Breeders are officially certified as Australian Labradoodle Association of America (ALAA) members. You learn more about our Official ALAA Certification below. We are a new Australian Labradoodle breeder in Salem, Oregon. Our operation is very small which gives us the ability to give lots of attention to our dogs with training, playing, exercising and understanding. We are currently breeding MEDIUM SIZED Labradoodles. Labradoodles were originally bred 30 years ago with the intent to create a breed that was allergy and asthma friendly with the temperament of a service dog. 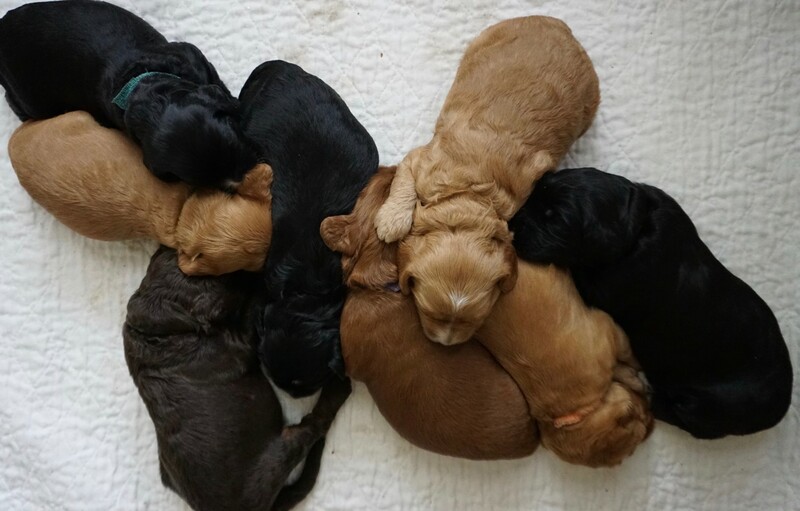 In order to get even better litters with consistent conformation, coat type, and temperament a number of other dog breeds besides the Poodle and Labrador were bred into the Labradoodle lines. Most often the English Cocker Spaniel and American Cocker Spaniel were used. Jump forward many generations from that time, and you have the multigenerational Australian labradoodle- our puppies. No wonder they are so smart with a desire to please! Sparkles & Peaches have current litters with guardians available. Call us for more information. Anyone within 50 miles of Salem, Oregon is welcome to apply. We have a guardian home opportunity for one puppy from Daisy’s August litter. Our Pink Girl from this litter is now 9 weeks old. This gorgeous black and white girl is 4 months old, and is ready for a loving home. Silver Paw member breeders submit further eye health related exams every 18 months to maintain this member status. Click Here to learn more. 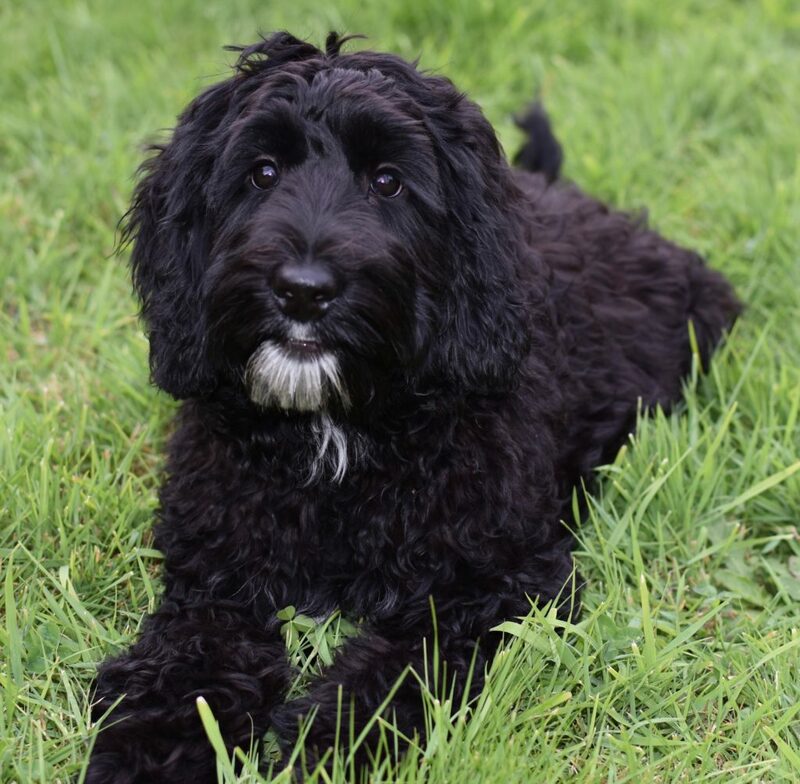 The ALAA focuses on the nurturing and development of the Labradoodle and Australian Labradoodle, promoting uniform standars and integrity in breeding. 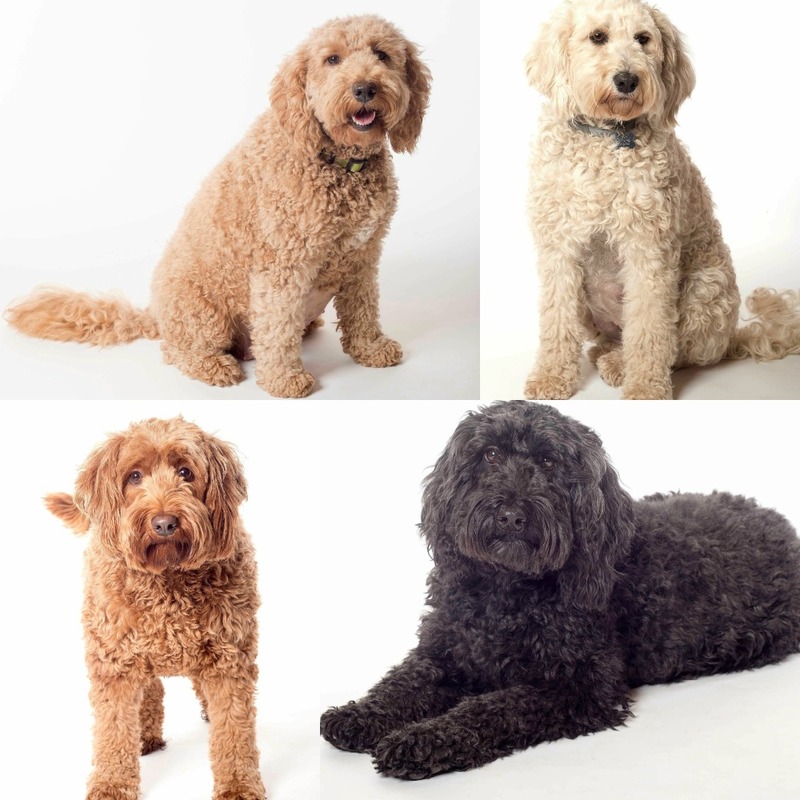 The ALAA manages the largest database of Labradoodles and Australian Labradoodles in the world. To learn more, Visit Their Site. Golden Paw member breeders submit a variety of health tests and reports in order to maintain this certified status. Click Here to learn more. Daisy’s Next Litter is Coming Soon! Daisy’s next litter will arrive in Spring of 2019. Submit an application and make a deposit once accepted. Sparkles Winter Litter is Here! Sparkles latest litter was born this month on the 12th of December. Please Contact Us as soon as possible for details! Click below for photos and more. Peaches N Cream had her Winter litter right before Sparkles on the 12th of December! You can apply and reserve one of these puppies today. Buy our recommended dog food for your Australian Labradoodle right from your breeder. Click the button below to shop Life’s Abundance selection of healthy dog food and more! Sparkles and Peaches Winter litters have arrived! These gorgeous puppies are available to reserve now. To view photos of past and current litters, click the button above. For inquiries into future litters, visit our contact page! Want to get to know Freedom Labradoodles? Visit our About Page by clicking the button below! You can visit our Dams from our menu at the top of the page. Our Puppy Application can be completed easily online. 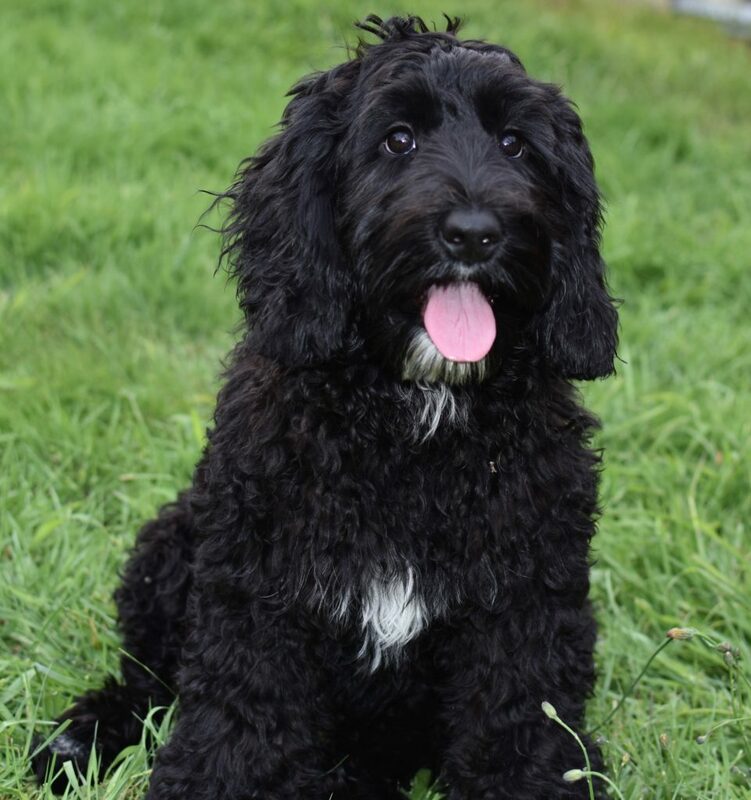 Click the button above to view the application and get started on bringing your new labradoodle home!